DuPont is one of America’s oldest corporations. Founded by Eleuthere Irenee duPont as a gunpowder manufacturer for the Revolutionary War, the company has long been one of America’s leading business institutions. From humble beginnings, DuPont became well known as a leader in Research & Development, a consistent leader in patent applications, and the inventor of products that proliferate in our lives from nylon to Teflon pans plastic bottles to Kevlar vests. But in a series of fast actions during 2015, DuPont as it has been known is going away. And it is too bad the leadership wasn’t in place to save it. Now there will be a short-term bump to investors, but long-term cost cutting will decimate a once great innovation leader. When the bankers take over, it’s never pretty for employees, suppliers, customers or the local community. It has been a long time since DuPont was the kind of business leader that gathered attention like, say, Apple or Google. From dynamic roots, the company had become quite stodgy and unexciting. Many felt leadership was over-spending on overhead costs like R&D,product development and headquarters personnel. Thus Trian Fund, led by activist investor Nelson Peltz, set its sites on DuPont, buying 2.7% of the shares and launching a proxy campaign to place its slate of directors on the Board. The objective? Slash R&D and other costs, sell some divisions, raise cash in a hurry and dress up the P&L for a higher short-term valuation. These sort of attacks almost always work. But DuPont’s CEO, Ellen Kullman, dug in her heels and fought back. She aligned her Board, spent $15M making her case to shareholders, and in a surprising victory beat back Mr. Peltz keeping the board and management intact. 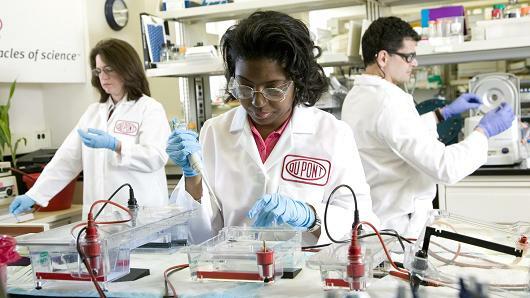 In a great rarity, this May DuPont’s management convinced enough shareholders to back their efforts for improving the P&L via their own restructuring and cost improvements, planned divestitures and organic growth that existing leadership remained intact. But this victory was quite short-lived. By October, Ms. Kullman was forced out as CEO. A few days later the CFO reported quarterly profits that were only half the previous year. Sales had continued a history of declining in almost all divisions and across almost all geographic segments – with total revenue down to $5B from $7.5B a year ago. As it had done in July and previous quarters end-of-year projections were again lowered. Net/net – CEO Kullman and management may have won the Trian battle, but they clearly lost the business war. Unable to actually profitably grow the company, the Board lost patience. They were willing to support management, but when that team could not produce the innovations to keep growing they were willing to accelerate cost cutting ($1B in 2015 alone) in order to prop up short-term stock valuation. Now the newly placed transaction-oriented CEO of Dupont has cooked up a deal the bankers simply love. Merge DuPont with Saran Wrap and Ziploc inventor Dow Chemical, which itself has been the target of Third Point’s activist leader Dan Loeb (which Dow settled by giving Third Point 2 board seats rather than risk a proxy battle.) Then whack even more costs – some $3B – and lay off some 20,000 of the combined companies’ 110,000 employees. Then split the remaining operations into 3 new companies and spin those out publicly. Sounds so good on paper. So simple. And think of the size of the investment banking and legal fees!!!! That will create some great partner bonuses in 2016! But what will investors actually own? The lower cost companies will now be largely without R&D, new product development, internal patent departments, university research grant management programs, and many of the finance, marketing and sales personnel. Exactly how will future growth be assured? What will happen to these once-great sources of invention and innovation? The companies are no closer aligned with market trends than before. In fact, lacking people in innovation positions (product development, R&D and marketing) they are very likely to become even further removed from the leading trends that could create breakthrough products. Competition will be reduced short-term, so there will be less price pressure. 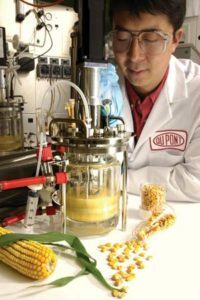 But longer-term innovation will shift to smaller companies like Monsanto and Syngenta, or even companies currently not on the industry radar – as well as universities. These big companies will be removed from the leading edge of competition, the innovation edge, and will much more likely miss the next wave of products in all markets as new competitors emerge. There will be no resources to develop or manage new innovations that emerge internally, or externally. The much smaller staffs will have no bandwidth to explore new technologies, new products, new go-to-market channels or new ways of doing business. There will be no resources for white space teams to explore market shifts, consider major threats to their “core,” or develop potentially disruptive businesses that will generate future growth. A very smart CFO once told me “when the finance guys are figuring out how to make money, rather than the business guys, you need to be very worried.” Clever transactions, like the one proposed between DuPont and Dow, do not replace great leadership. These are one-time events, and almost always leave the remaining assets weaker and less competitive than before. Leadership requires understanding markets, managing innovation, creating new solutions, disrupting old businesses by launching new ones, and generating recurring profitable sales growth. Unfortunately, DuPont suffered from a lack of great leadership for several years, which left it vulnerable. Now the bankers are in charge, busy managing spreadsheets rather than products, customers and sales. Don’t be confused. In no way does this merger and reorganization improve the competitiveness of these businesses. And for that reason, it will not offer a long-term value enhancement for shareholders. But even more obvious is the outcome negative outcome we can expect for employees, suppliers, customers and the communities in which these companies have operated. Bad leadership let the hyenas in, and they will pick the best meat off the bone for themselves first – leaving seriously damaged carcasses for everyone else.